Jonathan Davenport has coasted to a stop in hot laps. He’ll pull out the backup car for qualifying. 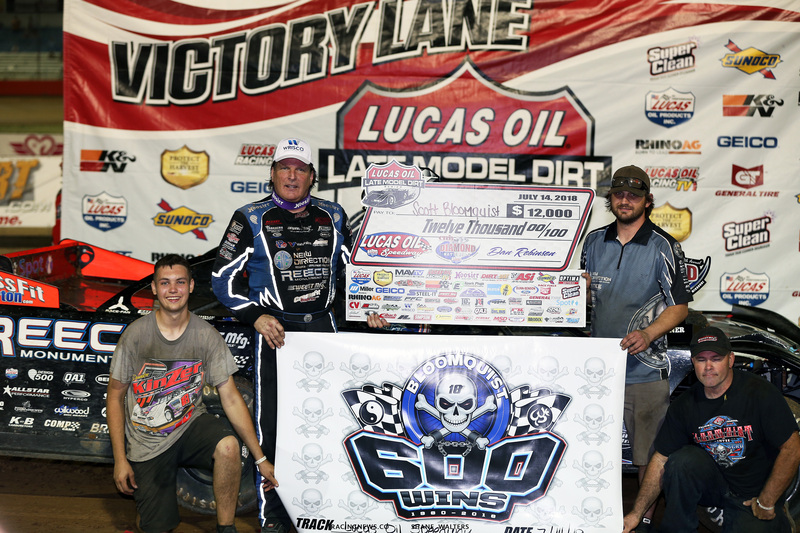 Group B gets it done at Lucas Oil Speedway. Jimmy Owens tops the group A time by .003 seconds. He takes quick time. Clay Daly and Earl Pearson Jr set row one in heat race number one. Hudson O’Neal is unable to start, he gets a push back to the pit area. Green, Daly leads into turn 1. Pearson slots into 2nd. Daly drives away to win the first heat of the night by 10 car lengths! Chad Simpson and Don O’Neal trail the pace truck ahead of heat race number two. Green, Simpson noses ahead into turn 1. He steps it slightly sideways in the middle of the corner and Don O’Neal drives by on the outside of turn 2. Car around in turn 3, caution. Green, O’Neal and Simpson fight for the bottom. 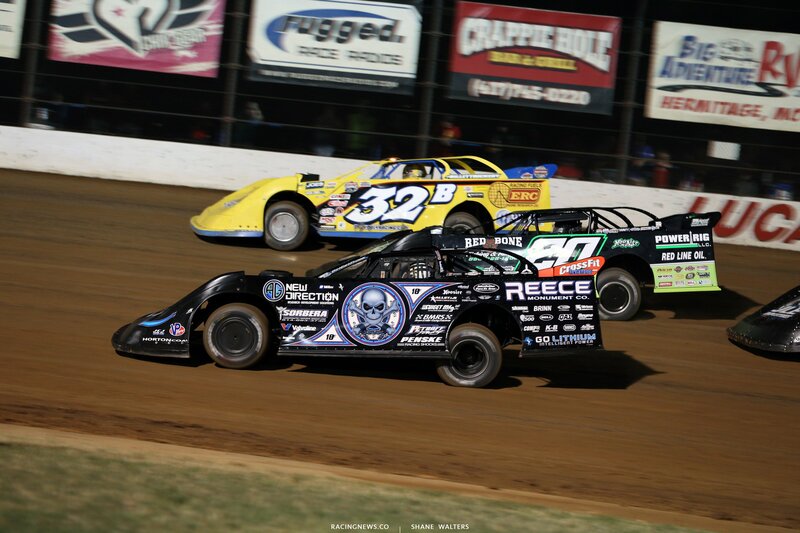 Bloomquist jumps right to the top. He’s around both of them on the outside. He leads into turn 3. Davenport joined the race late. He turned it into a test session, running a half track back of the leaders. Bloomquist checks out to win heat race number two! Jimmy Owens and Bobby Pierce will lead them to the start in heat race number three. Green, Owens leads into turn 1. Will Vaught cuts from the outside second row to the inside in turn 1. He’s clear of Pierce. Spin in turn 3, the caution is out. Green, Pierce slides Vaught in turn 3. Vaught cuts under him on the exit and takes the position back. Jimmy Owens wins heat race number three! Logan Martin and Austin Rettig will lead them to the green flag in the final heat race of the night. Green, Martin and Rettig fight for space and the lead into turn 1. Zeigler is all over them both off turn 2. Martin leads, Zeigler cuts it to the bottom in turn 3. He slides him and takes the position. Mason Zeigler drives off to win the final heat race of the night! Tony Jackson Jr and Josh Richards set the front row in the B Main. This race has 6 of the 14 LOLMDS regulars. Green, Jackson gets the jump on Richards. McCreadie thinks about making it 3 wide for the lead, he lifts. Jackson leads into turn 1. Richards and McCreadie run side by side for 2nd. 12 laps later, they’re still side by side. Richards takes 2nd. 15 car lengths up the track, Tony Jackson Jr cruised to the win. The main event is set to roll shortly after 9pm local time. Lightning strikes in the distance as rain has been in the area all night. 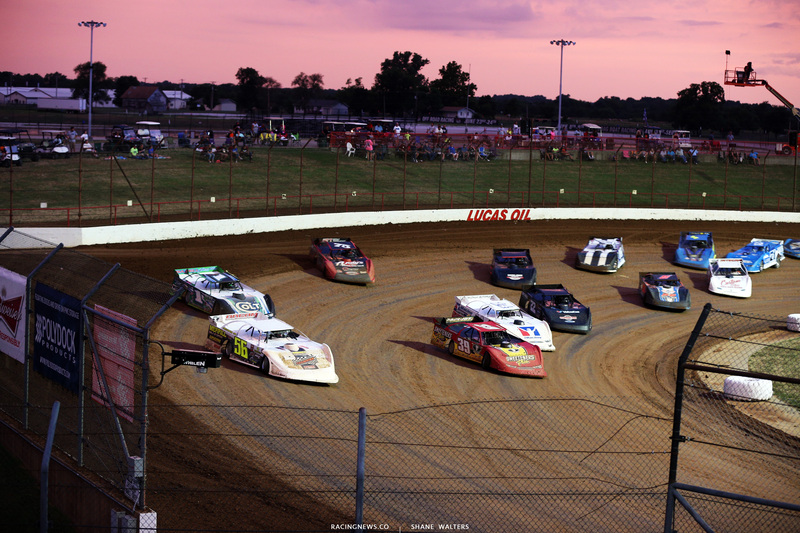 The dirt late model drivers are set to battle for 50 laps, chasing the check for $12,000. Clay Daly and Jimmy Owens follow the pace truck onto the race track. The point leader, Jonathan Davenport will start 22nd. 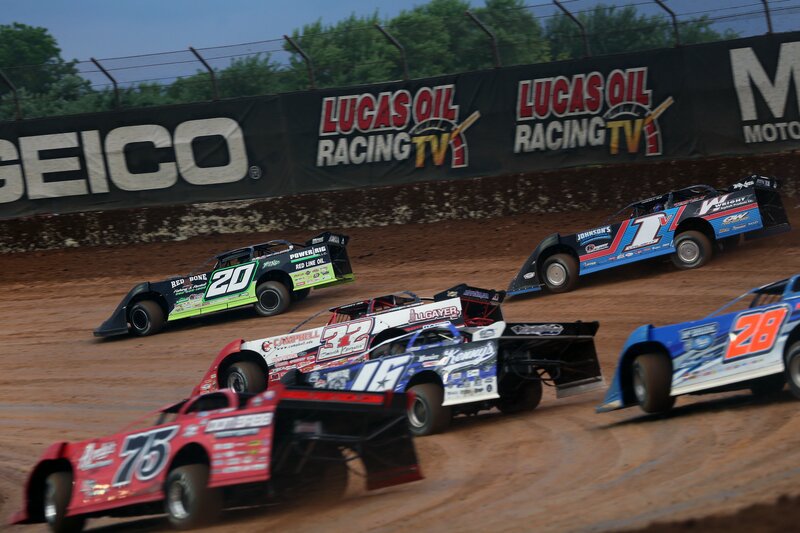 4 wide salute, fireworks in the month of July and we’re off for the 2018 Diamond Nationals at Lucas Oil Speedway. Green flag, Daly gets a huge jump. False start. Green, Daly slides from the bottom to the top in turn 1. He all but parks it in front of Jimmy Owens. 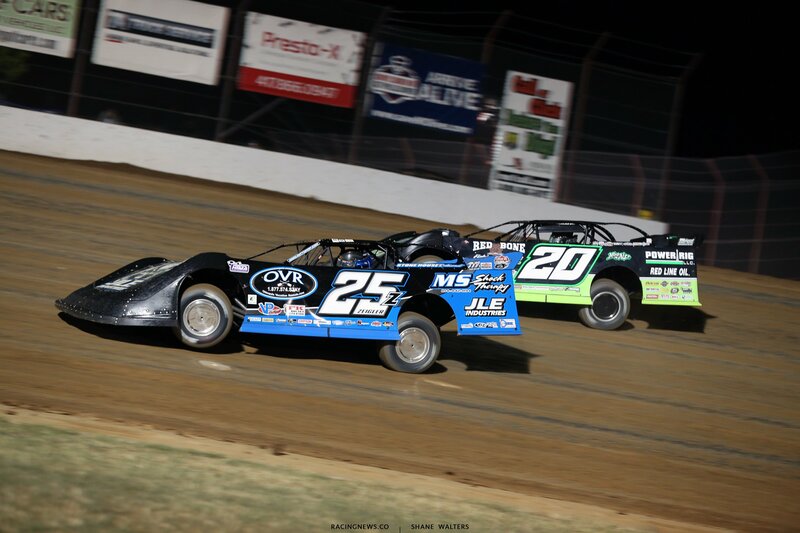 Bloomquist has a run on both of them on the bottom. Owens cuts to the middle. They run 3 wide for the lead off turn 2. Owens takes the lead through the middle into turn 3. Bloomquist to 2nd. Daly fades fast. Lap 4, caution. Darrell Lanigan has a flat. 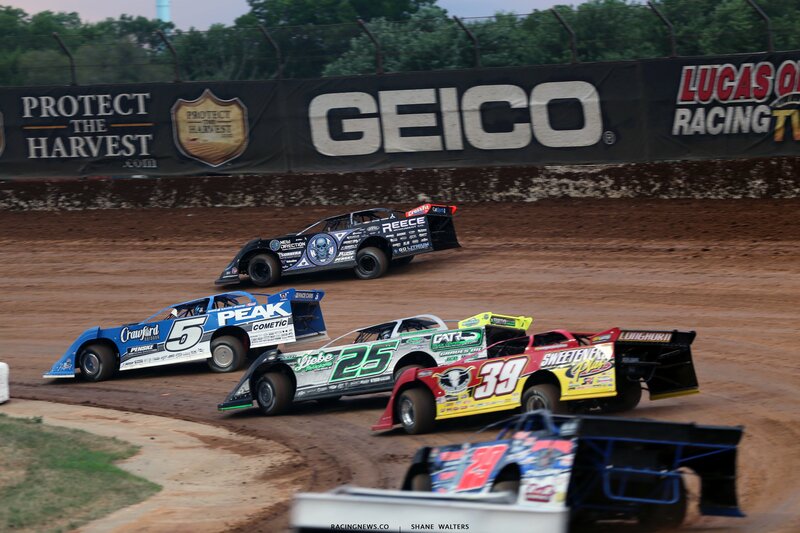 Green, Zeigler makes a run at Bloomquist on the outside of turn 1. He completes the pass heading into turn 1. Back in turn 1, Zeigler dives to the bottom. He pulls to the door of Owens for the lead. Lap 10, Owens has opened a gap of 10 car lengths. Bloomquist is around Zeigler for 2nd. Lap 20, Owens is deep in lapped traffic. They run side by side in front of him. 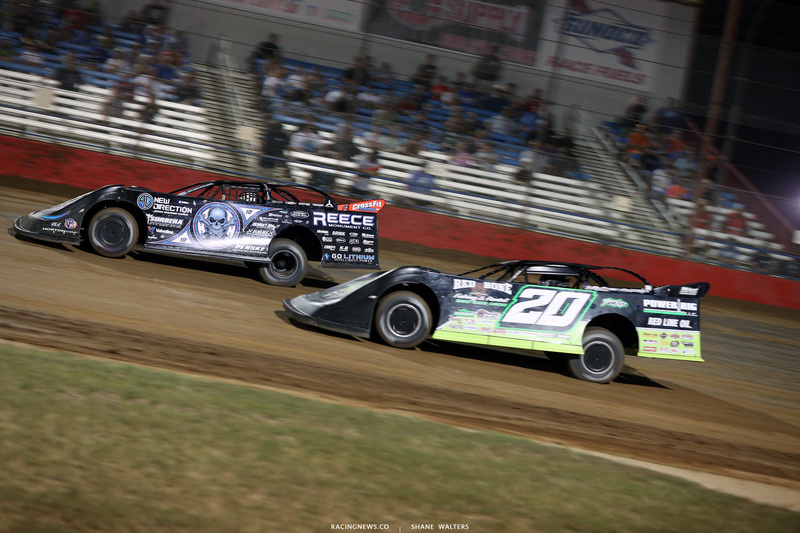 Bloomquist cuts the gap in half. Lap 26, Bloomquist has found speed on the high side of the race track. Owens is trapped behind Rettig on the bottom. Payton Looney is stopped in turn 4, the caution is out. Green, Owens leads. Zeigler works the bottom to reclaim 2nd. Lap 30, Caution for debris. Green, Bloomquist drives it deep on the bottom into turn 1. Owens slides way up the hill, Bloomquist is clear off turn 2. Owens sides him in turn 3. Bloomquist is back to the bottom in turn 1. Owens rotates the top and cuts under him on exit. Owens tries to slide him in turn 3. 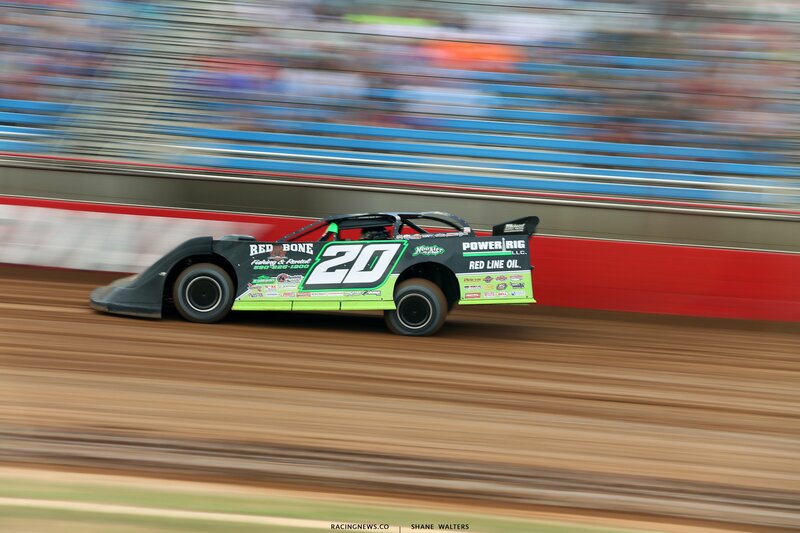 Bloomquist holds the outside. Bloomquist to the bottom in turn 1. He’s hard on the brakes in front of Owens. The #20 slides up the hill and Mason Zeigler moves to 2nd. 10 to go, Bloomquist leads Zeigler by 15 car lengths. Multiple lap cars run between them. 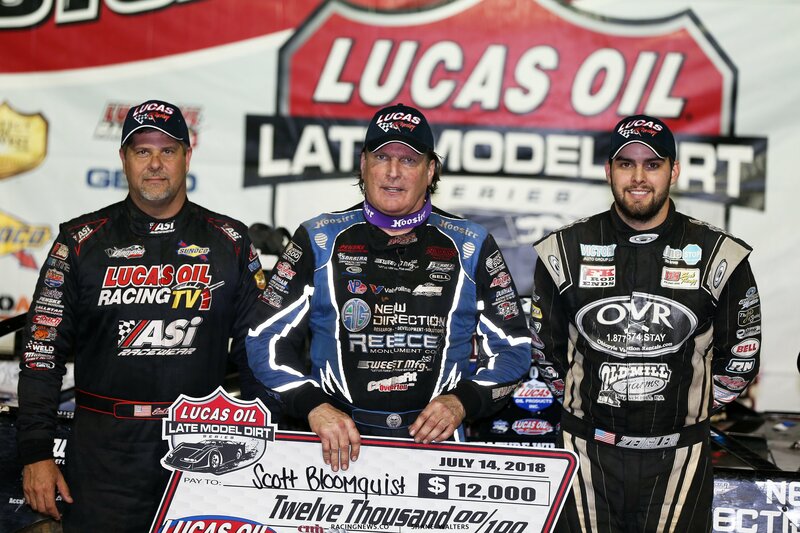 Scott Bloomquist wins the 2018 Diamond Nationals at Lucas Oil Speedway! It’s career win #600 for the zero car. From here, the tour will head for the north end of the United States. The first stop is Aberdeen, South Dakota on July 17th at Brown County Speedway. On July 18th, they unload at the Jackson Motorplex in Jackson, MN. July 19-21st will see events at I-80 Speedway in Greenwood, Nebraska. 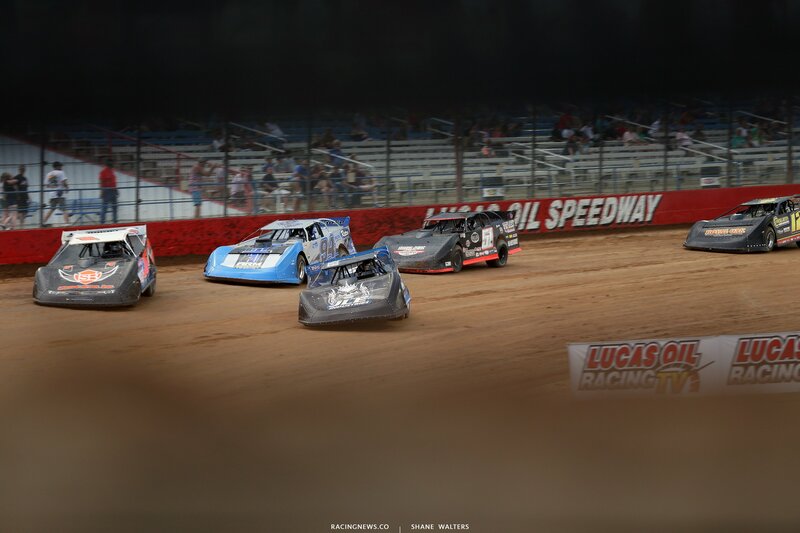 View full 2018 Diamond Nationals results from Lucas Oil Speedway results below.